I'm one of those teachers. The one who picks a theme and then goes all out decorating the room to follow the theme. 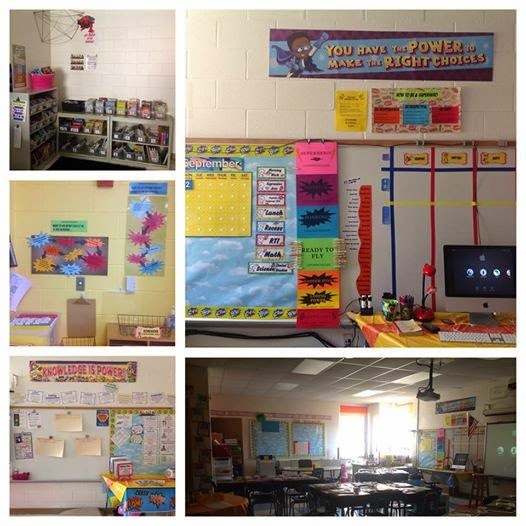 This year I decided on the theme of "Knowledge is Power" and went with superheroes. I had a blast finding different ideas on Pinterest and TeachersPayTeachers. After spending about two weeks, here and there, I'm pretty much finished. There are a couple little things I want to add, but I was proud of how it looked for Open House. Now it is ready to be filled with 25 superheroes this week! 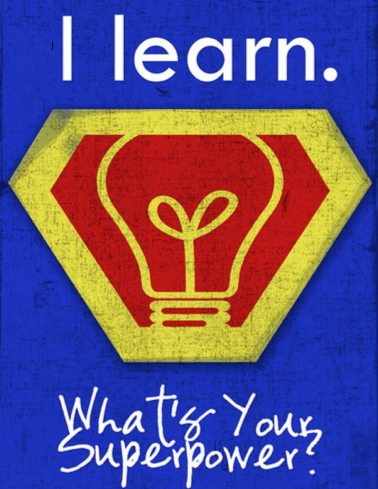 Do you do a theme in your classroom? If so, what did you choose for this year? While I like getting to know my students and believe that building classroom community must begin on day one, there are only so many icebreaker activities one can do. I like to jump right in to the curriculum, but in a meaningful way. 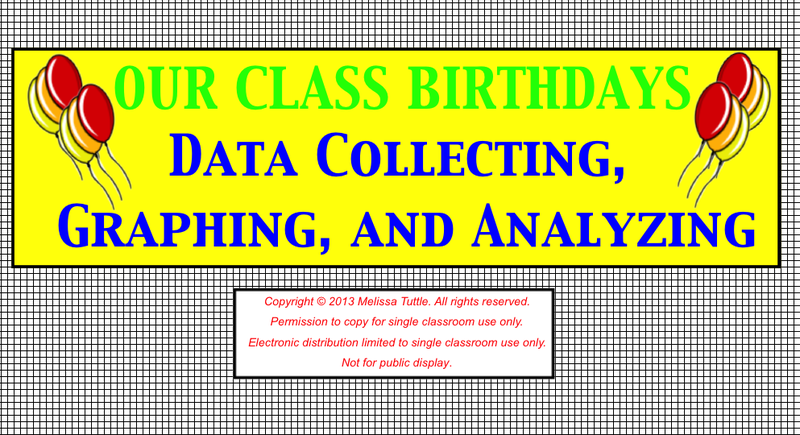 Our math pacing begins with a data unit so I kick off the unit by using students birthdays to collect, organize, graph, and analyze data. 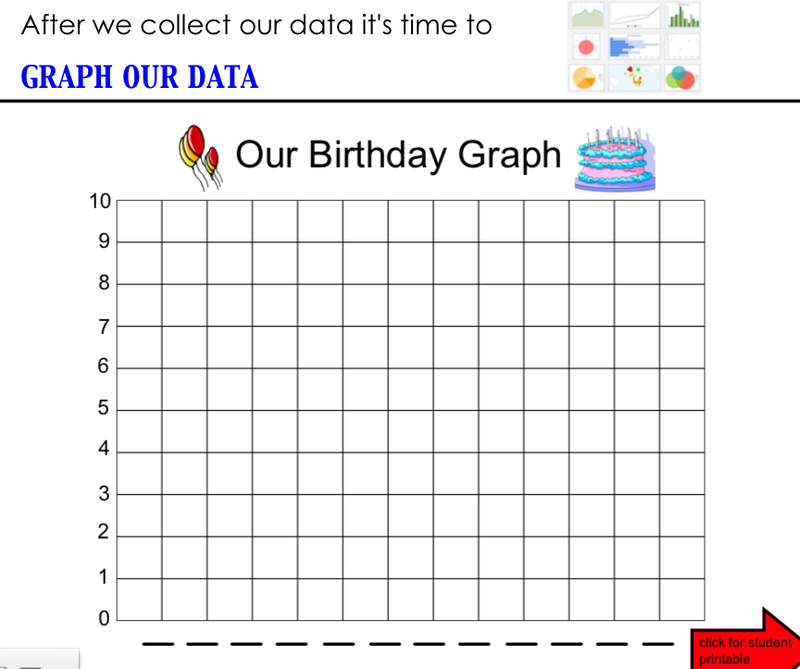 I always purchase the Teacher Created Resource Birthday Graph and we complete the graph together. I put labels on each cake piece with the student's name and date. I then call a month and everybody with that month comes up front and we put the dates in numerical order. We build the cakes beginning with the first birthday and go up until the last of the month and then add our candle at the top! Once our poster graph is complete, we observe the data and begin organizing it into a data column, then graph the data, and then use our data to answer questions about birthdays in our class. I created a SMARTBoard .notebook file for the lesson. 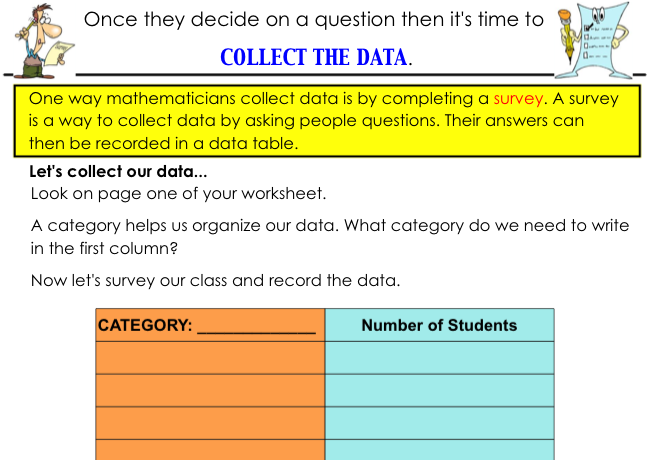 The students have a copy of the data table, graph, and questions on a printable that they complete. You can purchase the SMARTboard which includes the printable student packet at my Teacher Pay Teachers Store. At the start of each school year, I always have my students set their goals for the year. I try to have them create at least two goals - one academic and one personal. We record them and then put them away to review at the end of each marking period and finally at the end of the year. We track and reflect on our progress at the end of each marking period adjusting them as needed or writing new ones if our old ones have been met. I always join in with goal writing and share my goals as well. This year, I thought I'd use this blog as a way to record my goals and hold me accountable towards striving to meet them. 1) Blog!! 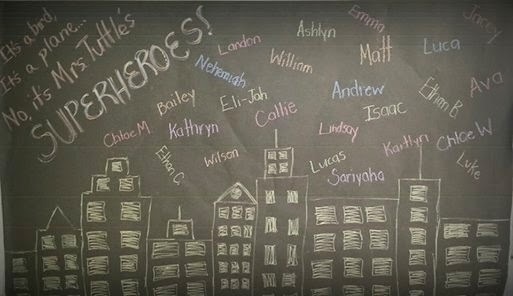 - I began blogging personally (melsboxofchocolates.com) when my son began Kindergarten...he's now beginning 8th grade (gulp!). I enjoy writing and sharing my story, but I slowly stopped blogging. I would like to share my passion with teaching though and will write/share more here about my journey as an educator! 2) Math Centers - I enjoy using reading centers in my classroom and last year attempted to get my toes wet with math centers. I definitely was not consistent and seemed to change my format every week. This year, I will jump in again, staying consistent! 3) Explore GAFE! Technology in my classroom is a passion! I like to share my love with technology with my students (and their families). Last year we blogged and tweeted and this year I would like to add even more technology. I participate in #satchat (blog coming soon) and the latest topic was Google Classroom. I want to explore this and see how to begin with my 3rd graders! 4) Writing - Incorporating writing into all subject areas with meaningful assignments! 5) Finally, a personal goal! To keep balance with my responsibilities as teacher and wife/mom. Last year, I feel that I threw myself into my teaching to the extent that I let down my family. This year, I will strive to find that balance and instead of working every weekend, stop to enjoy my husband and kiddos instead. Yes, I want to be the best teacher I can be, but I also need to be the best wife and mom. So there are my 5 goals for the school year. I will be tracking my progress and reflecting throughout the year. What about you? 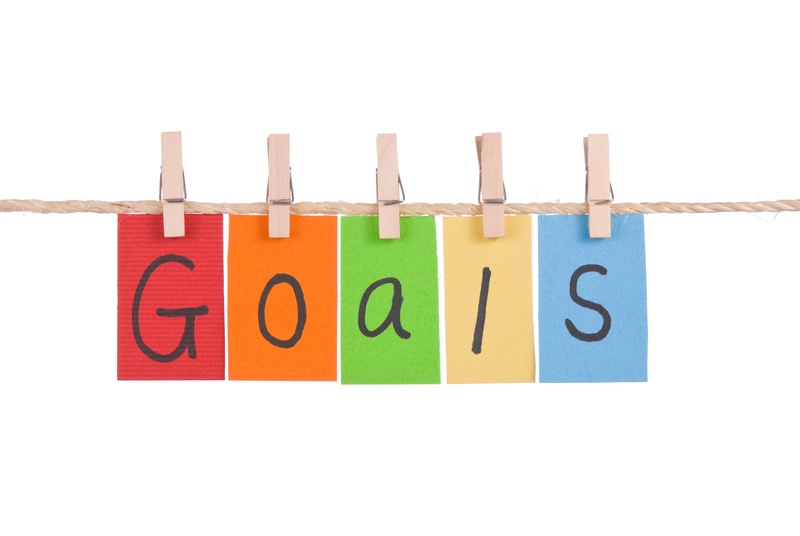 Do you set goals in your classroom? 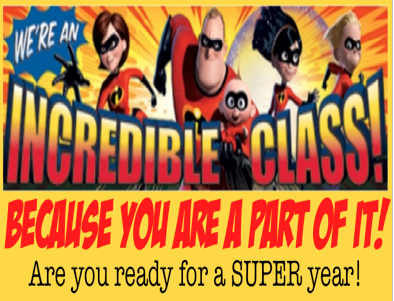 For your students? For yourself?